Joshua Tree National Park is home to some of the most unusual landscapes in California. Spiky Joshua trees, towering boulder formations, stark desert scenery. 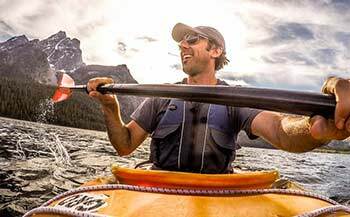 It’s an amazing destination, filled with outdoor adventures. But you’ve got to know where to go – and when to visit. This online travel guide will help you plan a Joshua Tree trip filled with unforgettable experiences. Use the information below for initial travel planning. 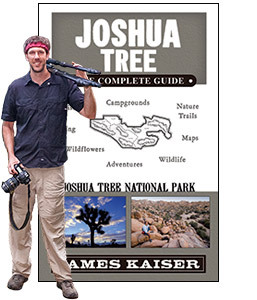 For an insider guide filled with expert tips, check out Joshua Tree: The Complete Guide. Hot in the summer, cold in the winter — perfect in spring and fall. Discover the best months to visit Joshua Tree. There are no hotels in Joshua Tree National Park, but there are plenty of terrific lodging options just outside the park. Discover the region’s best hotels, lodges and B&Bs. From easy strolls to rugged mountains with panoramic views, Joshua Tree is home to some of the best desert hiking in California. Beautiful photos from one of California’s most unique desert landscapes. Camping is one of the best ways to experience Joshua Tree. This campground guide explains everything you need to know. Learn about the powerful forces that created this bizarre-yet-beautiful landscape. Desert wildflowers are one of the highlights of visiting Joshua Tree in spring. Learn about the beautiful flowers that call the park home. Straddling the boundary between the Mojave Desert and the Sonoran Desert in Southern California, Joshua Tree National Park is home to some of America’s most strange and surreal scenery. The park’s twisted trees, towering rock formations, and jumbled geology create a Seussian landscape that lures rock climbers, rock stars, and desert aficionados from around the globe. At 800,000 acres, Joshua Tree National Park takes up a vast chunk of the Southern California desert. But only two major roads run through the park: Park Boulevard and Pinto Basin Road. Park Boulevard passes through the famous Mojave Desert. Lying above 3,000 feet in elevation, the Mojave Desert in Joshua Tree occupies a slightly cooler climate filled with strange rock formations and thousands of Joshua trees. The rock formations, some as tall as twenty-story buildings, lure a steady stream of rock climbers from around the world. Joshua Tree’s 8,000 plus climbs make it one of North America’s premier climbing destinations—especially in the winter months when other rock climbing meccas are covered in ice and snow. Pinto Basin Road passes through the Sonoran Desert, which is characterized by lower elevations, hotter temperatures, less rainfall, and wide-open spaces. In Joshua Tree, much of this open space lies within Pinto Basin, a 200-square-mile gulf of land that marks one of the westernmost edges of the Sonoran Desert. Pinto Basin is massive—five of the park’s six mountain ranges define its boundaries. Located just a few miles north of sprawling Coachella Valley (one of the fastest growing regions in California), Pinto Basin offers a pristine reminder of the beauty of the untouched desert. Joshua trees are noticeably absent, but equally fascinating plants such as cholla, ocotillo and smoke trees call Pinto Basin home. Several thousand years ago, Pinto Basin was settled by early Indians. The park was later used as a seasonal home by the Serrano and Cahuilla tribes. In the mid-1800s, cattle ranchers came to Joshua Tree, followed by gold miners in the 1880s. By the 1920s, however, most of the gold in Joshua Tree had been extracted, the Indians had been forced out, and only a few hardy white settlers remained. Following the introduction of the automobile, adventurous Los Angeles citizens began day-tripping to the desert in large numbers. By 1936 Joshua Tree National Monument was established. In 1994 the Desert Protection Act upgraded Joshua Tree to national park status and added 234,000 acres to its holdings. Today Joshua Tree National Park sees over 1 million visitors each year. Plan the perfect Joshua Tree trip for less than the cost of lunch!